Although decidedly a tenor, American actor and singer Brent Barrett (b. Quinter, KS, 28 February 1957) is known for playing slick and colorful characters in the tradition of baritones Alfred Drake and Howard Keel. His striking performances as the leading man in Grand Hotel, Chicago, Kiss Me Kate, Annie Get Your Gun, and The Phantom of the Opera have taken him all over the English-speaking world, from New Zealand to the West End, and from Las Vegas to Broadway. The youngest of three children, Barrett was born and grew up in a tiny town, population 900, in the flattest part of Kansas. “My family thought I was from outer space,” he has said, “dancing around and singing all the time.” He took part in school and community theatricals, and played Frank Butler in Annie Get Your Gun for the first time in high school. He began college as an operatic voice major at Ft. Hays State University, but soon transferred to Carnegie Mellon University in Pittsburgh, PA, where he majored in musical theatre. While still a student Barrett began his professional career with the Pittsburgh Civic Light Opera, appearing in productions of Half a Sixpence, Camelot, Good News, The Red Mill, Cabaret, and Funny Girl. Even before finishing his last year of college, he was on Broadway, playing the part of Diesel in the 1980 revival of Leonard Bernstein’s West Side Story. For the last three months of the show’s run, he replaced Ken Marshall in the lead part of Tony. The next year, Barrett was Whizzer in the off-Broadway production of March of the Falsettos, and in 1982 he took the title role in the production of The Death of Von Richtofen As Witnessed from Earth at the Joseph Papp Public Theater. At the Henry Street Settlement’s New Federal Theater he starred in Howard Marren’s Portrait of Jennie. 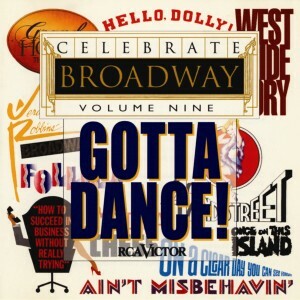 In 1983 he returned to Broadway in Dance a Little Closer, a new musical by Alan Jay Lerner and Charles Strouse that did not fare well: it played 25 previews and closed on opening night. 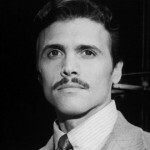 Barrett then went into the daytime soaps: he played the dapper but dangerously disturbed Tony Barclay in several episodes of All My Children. In 1985 he was playing Lieutenant Cable on the National Tour of South Pacific, and in 1986 back off-Broadway in a revival of Arthur Laurents’s The Time of the Cuckoo. 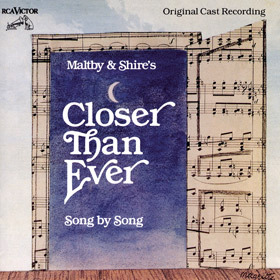 A role in a television film adaptation of Isaac Asimov’s Robots followed, and in 1989 he appeared in the original production of Richard Maltby and David Shire’s Closer Than Ever at the Cherry Lane Theatre. 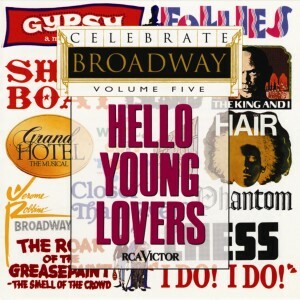 This revue was a solid critical and popular success, running for 312 performances, and generating a recording issued by RCA Victor. Barrett starred as Tommy Albright, with Rebecca Luker as Fiona, in the New York City Opera’s 1991 production of Brigadoon; a recording of this production is available. He then appeared in a small role in the film Longtime Companion, and joined the Broadway cast of the original production of Grand Hotel, replacing David Carroll as Felix Von Gaigern. He reprised the role in London when the show reached the West End in 1992, and portrayed Von Gaigern on the international tour. In 1993 he was Frank Butler again in Annie Get Your Gun, touring the United States with Cathy Rigby as Annie. In 1995 he appeared as Victor Duchesi in the original Broadway-bound production of Busker Alley with Tommy Tune, which, after a sixteen-city tour, closed in Tampa when Tune broke his foot. In 1996, after reprising his starring role in Brigadoon at the City Opera, Barrett went to New Zealand to play Archibald in Lucy Simon’s The Secret Garden in cities throughout that country, and while he was there was filmed in an episode of the television series Hercules: The Legendary Journeys. 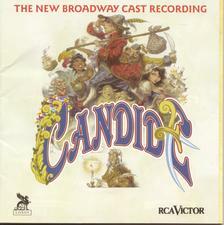 He returned to Broadway in 1997 to portray Maximilian in the revival of Bernstein’s Candide (also recorded on RCA Victor). It was in the following year that he first took on the role of Billy Flynn in Chicago, which was to be his most frequent vehicle for the next decade and beyond. While on the National Tour with the show, he won a Los Angeles Drama Critics Circle Award, and upon his return to New York, he took up the same role for several months in the Broadway revival. Since then Barrett has had eight intermittent stints as Billy Flynn on Broadway (Chicago is now approaching its six thousandth performance) and is currently more or less a permanent fixture. In 2000 Barrett portrayed Edward Moncrief in the New York City Center Encores! revival of On a Clear Day You Can See Forever with Kristin Chenoweth, and in the winter of 2001 he returned to Broadway to replace Patrick Cassidy as Frank Butler, playing opposite Reba McEntire as Annie. He was back in London by fall, starring as Fred Graham in Kiss Me, Kate at the Victoria Palace, with Marin Mazzie as Lilli Vanessi; the role brought him a nomination for a Laurence Olivier Theatre Award for Best Actor in a Musical. 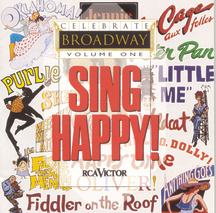 That production was recorded live for broadcast in the United States on PBS’s Great Performances; it is available on DVD. Back at City Center Encores! 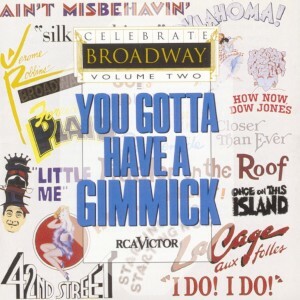 in a revival of The Pajama Game in 2002, he starred as Sid Sorokin, then went to UCLA in Westwood, California to take on the role of Billy Crocker in Anything Goes. Next was King Arthur in Camelot at the Paper Mill Playhouse, and a return to Billy Flynn in the Broadway revival of Chicago for about two years, with a six-month hiatus in 2005 during which Barrett acted in the film version of The Producers as Brian The Set Designer. In 2006 he played the Phantom in The Phantom of the Opera for the production at The Venetian Resort in Las Vegas directed by Hal Prince. Brent Barrett has performed as a soloist in concert with many leading orchestras including the Boston Pops, the London Sinfonietta, the Birmingham Symphony, and the Berlin Philharmonic under Simon Rattle. He has sung at Carnegie Hall with the New York Festival of Song and performed with the Minnesota Opera, Opera Pacific, Michigan Opera, and the Kentucky Opera. 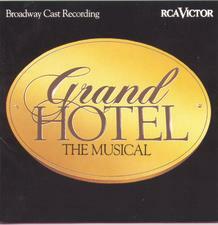 He has recorded two solo albums, The Alan Jay Lerner Album and The Kander and Ebb Album, as well as sung on the Original Cast Recordings of Grand Hotel, Closer Than Ever, and Candide: The New Broadway Cast Recording. His several other albums include The Busby Berkely Album, a 1999 studio album of Bernstein’s Wonderful Town, Lost in Boston IV, Unsung Musicals III, The Maury Yeston Songbook, The Stephen Sondheim Album, Strike Up the Band (1991 studio recording), and Dance a Little Closer. Barrett sometimes volunteers for “Hearts and Voices,” an organization that brings live singers to perform for HIV/AIDS patients in hospitals and other facilities.